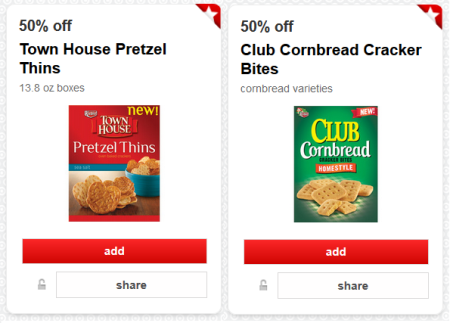 Target released 2 high value Cartwheel offers for 50% off Keebler Town House Pretzel Thins and 50% off Keebler Club Cornbread crackers. Pick these up for as low as $.77 with the following deals. 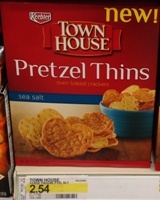 « Target Summer Clearance 90% off? ?